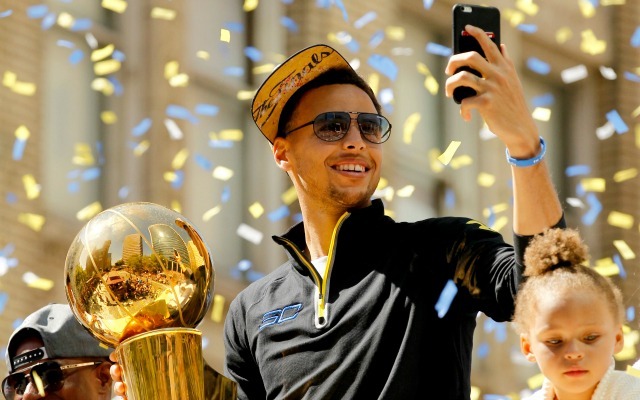 Steph Curry launches a social media startup called Slyce. 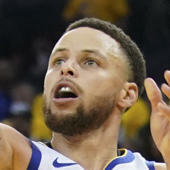 Already one of the top players in the NBA, Golden State Warriors guard Stephen Curry has now expanded his range even further by getting into the tech game. Working with a former teammate at Davidson College, Bryant Barr, Curry has co-founded a new social media platform called Slyce, which simplifies social media for athletes. As Curry's popularity has grown, his social media presence has actually diminished because he simply doesn't have enough time to deal with it anymore. Noticing that other athletes also experience similar restraints with social media, Curry and co-founder Barr created Slyce, which acts as an intermediary between the public and an athlete. It also allows athletes to post to all of their different social media accounts at the same time through the app. Curry is the co-founder of Slyce, a new Bay Area startup that wants to change how celebrities utilize social media tools and help them sort through all the noise in an efficient manner. The platform essentially acts as an intermediary between the athletes and fans, helping the former sift through inbound traffic and also allowing them to push out relevant content. The big idea is to help athletes and other influencers build their online brand with more control, somewhat similar to how The Players' Tribune bridges the gap between athlete and fan. For example, Slyce recently organized a question-and-answer session for Curry and showed him the most important or “best” questions, depending on what he values most. The startup went through more than 1,000 user-submitted questions and boiled them down to the best 35. Besides Curry, Atlanta Hawks forward Kent Bazemore uses Slyce but not just NBA players are using the app. Baltimore Ravens running back Justin Forsett has started using it as well. With many athletes focused on their own personal brand, it sounds like Slyce could be a key tool to helping them grow their social media presence. And with Curry, one of the most popular players in the NBA, they already have the perfect spokesperson.